I have added a new free Java book, Introducing Java 8, A quick start guide for lambda expression and Stream. A good book to learn Java8 absolutely free. It's the 11th book in this list, which started with just 7 books. I have added a couple of new free Java programming eBooks from O'Reilly which will teach you latest and greatest in Java e.g. Dockers for Java Developers by Arun Gupta, Microservices for Java Developers by Christian Posta, Modern Java EE Design Patterns by Markus Eisele, Object-Oriented vs. Functional Programming by Richard Warburton, and Java: The Legend by Ben Evans. Without wasting any more time, here is the list of some of the great Java books, which are absolutely FREE, you don't need to pay anything to download or read this book. All you need is an internet connection to download this books on your computer, laptop, iPhone or android smartphone. Most of the new eBooks which I have added recently are absolutely free, legal and you can download them in PDF, EPUB or MOBI format for online and offline reading. 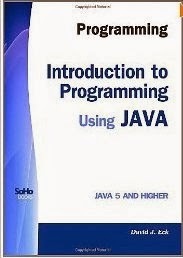 Description: This is the latest Java book which is FREE. Many Thanks to O'Rilley who has published an introductory book on Java 8, titled with Introducing Java 8, A quick start guide to lambda expressions and streams. The author Raoul-Gabriel Urma, who is also an author of one of the best seller book of last year, Java 8 in Action, explains how improved code readability and support for multicore processors were the prime movers behind Java 8 features. He’ll quickly get you up to speed on new classes including CompleteableFuture and Optional, along with enhanced interfaces and the new Date and Time API. 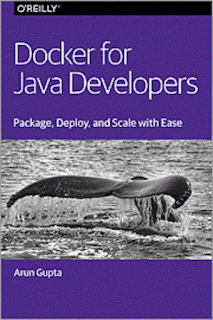 No doubt a great guide for any Java programmer willing to learn Java 8 by himself. If you will follow examples given int his book, you will learn lambdas and Streams in real quick time. 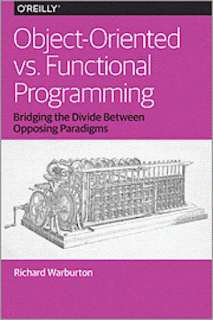 Description: This book discusses the difference between Object oriented and Functional programming. Since Java 8 is now support some of the functional programming concepts e.g. lambda expressions, map, flatmap, reduce etc, it becomes important to learn how to work together in both OOP and FP at the same time.Java technologist Richard Warburton, author of Java 8 Lambdas, discusses similarities between these programming paradigms and points out that both FP and OOP are actually moving closer toward each another. This book will take you to journey of Java programming language starting from very first version to the current Java 8 version. Benjamins Evans, author of the modern Java book, the Well-grounded Java Developer will explain to you the design decision was taken at the start e.g. making it platform independent and always keeping it backward compatible and how they paid off. Description: If you have worked in Java development and production services you know that how painful is to deploy a Java application. You have to deploy code, configuration, database changes, file systems changes etc. Though this is the tried and tested approach and working well from a long time, it can be improved. 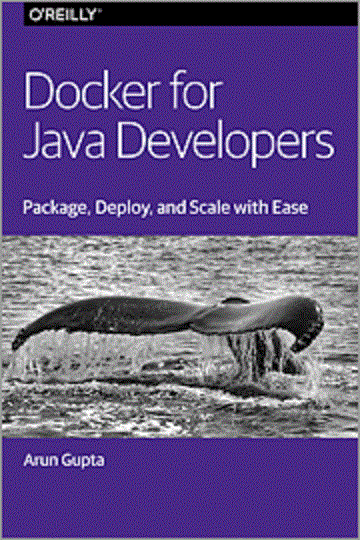 In this free Java EE eBook, Arun Gupta, author of the Java EE 7 Essentials explains how you can use Docker to deploy Java application both on server and cloud. This can improve both deployment and startup time of your Java application in Windows, Linux, and Mac OS X. 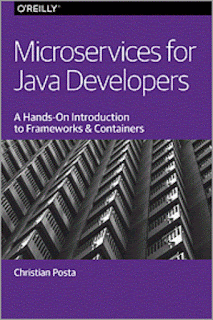 Description: Microservices is a new buzz word in Java world, touted to replace huge, monolithic SOA applications with hundreds and thousands of micro web services. In this free Java Microservice eBook, Christian Posta, a Principal Middleware Specialist/Architect at Red Hat explain to you whether Microservice architecture is right for your organization or not. He outlines both benefits and drawbacks of Microservices and explains to them how to implement them using popular frameworks like DropWizard and Spring Boot. This free Java book is full of useful examples. 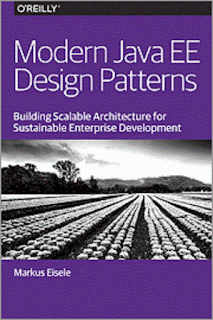 Description: There are not many good Java EE design patterns books available in the market, forget about free books, so when I found this free Java EE eBook, I got really excited. Since Java EE landscape is quickly changing with the advent of Microservice and it is challenging Java EE's monolithic SOA like architecture. 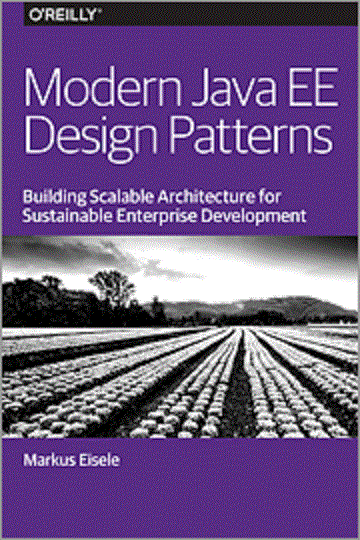 In this book, Markus Eisele explains Java EE with MicroServices and explores design patterns like aggregator, proxy, pipeline etc. Description: Great book to learn data structure and algorithm in Java programming language. Filled with a lot of samples but non-trivial examples of implementing different data structures e.g. stack, queue, linked list in Java. Since data structure and algorithm are very important for any Java programmer and quite a common topic in Java interview, it is an absolute must to have a strong command in both. If you are preparing for Java job interviews then you can also take a look at some of my favorite algorithm and data structures questions, it may help in your preparation. If you like to read paperback edition, you can order it from Amazon as well. Description: A perfect Java book, if you are developing or running Java application on Linux environment, which is the case in most of the investment banks. You can download entire books as PDF, along with all example programs. Carl Albing and Michael Schwarz has done an excellent job to put everything needed to run and support a Java program in Linux environment including how to start, stop, or kill Java process, checking logs with some handy useful UNIX commands. Paperback edition of this book is also available here in Amazon. Description: Official Java language specification for Java SE 7 edition is available online to view as HTML and download as PDF. This is the best FREE resource in Java, as it's from source and contains most up-to-date details about Java Programming language. If you like paperback edition, you can also purchase this books from amazon here. Description: Knowledge of Java Virtual Machine is very important for experienced Java developers, to get the maximum out of JVM and avoid unnecessary optimization, which can be effectively done by JIT and JVM. For a beginner, It's too much ask, to know more about JVM, but since it's a free Java book, you can always download PDF and read it. 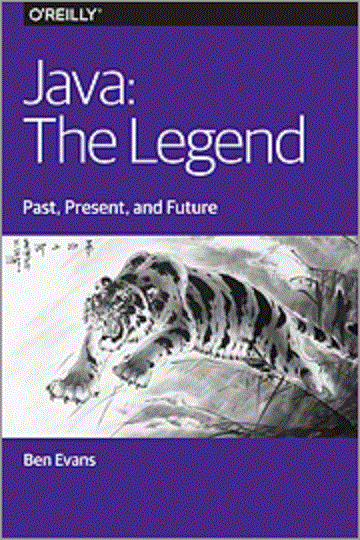 Paperback edition of this Java book is also available for purchase on Amazon, here. 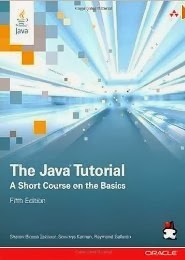 Description: This is the official Java tutorials from Oracle, which explains different Java concepts in the form of short courses e.g. JDBC, JMX, JAXB. All tutorials are available online and you can also download them for free as eBook, available in both .mobi and .epub format, nice to read in iPhone and android phones. If you love paperback edition, you can also order it from Amazon. By the way, these tutorials are really good quality and the great way to explore different features of Java Programming language. Description: Thinking in Java is a Jolt Award winner and one of the classic books to learn Java programming. The third edition of this books is freely available for download and you can download them as PDF format for the offline read. By the way, the fourth edition of this book is also available which covers most of new Java 5 concepts in detail, but it's NOT FREE. you can purchase that from Amazon. One more thing, first six chapters of Thinking in Java 4th edition is also available in PDF format for free download. 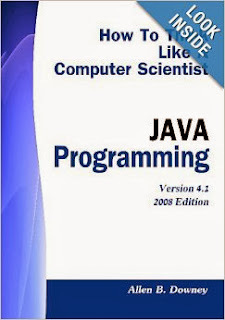 Description: This is another free Java book, which is available in both PDF and HTML format and teaches programming basics using Java programming language. I liked the chapter on Linked Data structure and Recursion, which teaches some of the key programming concepts with simple, non-trivial Java examples. You can also purchase paperback edition of this book on Amazon. Description: XML is one of the most desirable skills along with Java. You often need to work with XML files in large projects, as it's one of the most widely used data transport formats. This Java book is a comprehensive and up-to-date collection of various XML technology and how to use them with Java programming language. You will learn about different XML parsers e.g. SAX and DOM, JDOM, XPATH, and XSLT etc. 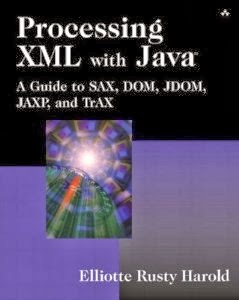 If your work involves, XML and Java, then this is the book you should read. 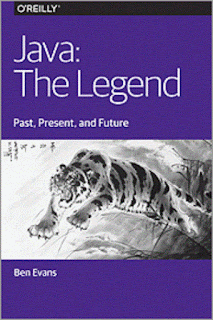 This Java book is freely available for online read, and you can buy a paperback edition from any book store including Amazon. Description: Don't confuse this book with Thinking in Java, it's a different one. This is another great Java book for beginners which is available for FREE. You can download it as PDF or read it online on their site. It covers programming basics, object-oriented concepts, essential software development technique, debugging etc. It's actually tailored for students, who wants to give Computer Science advanced placement (AP) exam, but turn out be a great book for any beginner. If you just started learning Java, give it a try. Paperback edition of this book is available on Amazon here. That's all guys, these are some really useful FREE Java books, especially the latest Introducing Java 8 book. As we all love free resources, download them as PDF or view online them as HTML. If you have slow Internet connection, then it's better to download PDF eBooks and read them offline. By the way, nothing can substitute a paperback book, eBooks are good but not for continuous reading. So don't forget to have a paperback edition of at least one Java book, when you start learning Java. If you are an absolute beginner then it's worth buying Head First Java 2nd Edition as well, one of the most recommended books for Java beginners. I cant fine the PDF in the first link. 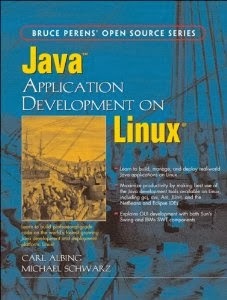 And can you suggest best DS & A book in Java.. I'm good with java but very very poor with DS and DS is required in all the good companies so I need your feedback. very good collection of books. I can't believe you exist until i found you. Thanks a lot for shaping my java and DS. Do more! If you seriously want to become a good programmer , I suggest to take a look at these books to learn Algorithms. You should be good at algorithm and data structure to write good code. Once you done, that you can look at these books to immprove coding skill . Thanks for all the info, but where to start if you don't know jack about java? Just start with Head First Java 2nd edition book, best book to learn Java if you don't know jack about Java. 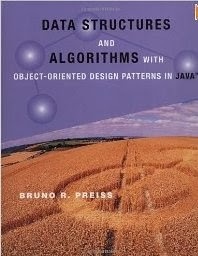 Data Structures and Algorithms By Bruno..I am not able to find the pdf of this book online. Can anybody help me to get it? Anybody has the link to download the pdf of Data Structures and Algorithms with Object-Oriented Design Patterns in Java? I am a 61 yr old senior QA analyst with a programming background from many years ago. I worked in PL/1 and C early in my career. In the mid-90s I was QA lead on a project that was using C++ so I took a C++ class at a local community college. But that is all I know about object oriented programming. Now I need to learn Java so that I can use Selenium to do test automation. Where do I start? Which book(s) do I read first? Selenium APIs support a variety of languages , also there is a record an play plugin for creating boiler plate code. You can also have a look into TestNG or JUnit for test suite creation and execution. Not much of object orientedness involved though. Hello Ernie, you can start with Java as you need that to create JUnit or TestNG tests. I have recently shared a couple of good courses for manual testers who wants to become automated testing expert covering Java, Selenium, JUnit etc, you may want to look at here. Please house i dont know jack about programming, where do i start from? 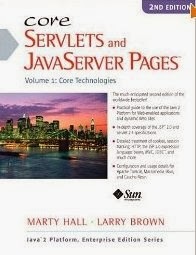 I've personally enjoyed Core Java Vol I-II (by Horstmann) the most. I like the style of the book, it's both practical and easy to follow.